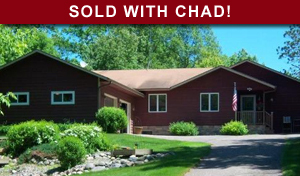 Chad spends tens of thousands of dollars each month advertising his listings. 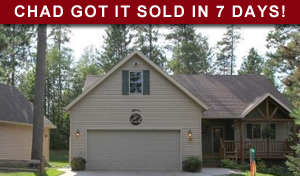 The days of putting a sign in the yard, placing the home on the MLS and then sitting back and waiting for an offer to come in are long gone. Today it takes an aggressive marketing plan to get the results you are looking for. 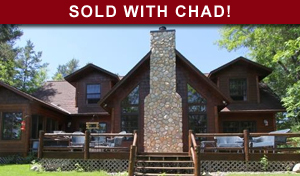 Chad has a second to none marketing strategy that incorporates print advertising, online marketing and networking. 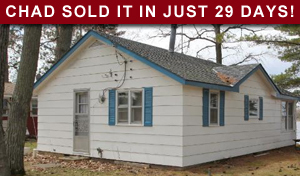 This three prong approach has enabled him to consistently be one of the top real estate agents in the country. 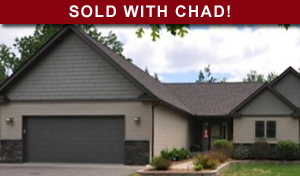 Chad has earned several awards and has become a sought after real estate spokesman and trainer. I could only feel confident enough to offer this program after years of trial and error realizing what worked and didn't work in marketing homes. After selling thousands of homes in my career, and getting to the point where I can honestly say I spend over $35,000 a month in advertising for my clients, I can guarantee that my marketing plan works. 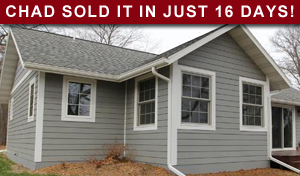 When you list your home with The Chad Schwendeman Real Estate Group, you may decide to opt into our guaranteed sale program. 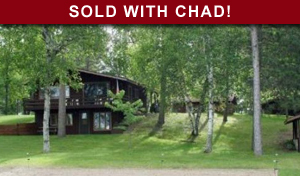 The program is 99 days long and in it we agree to sell your present home in the Brainerd Lakes Area at a price both Chad and you agree on. Am I required to enter the Guaranteed Program? What is the guaranteed price for my home? 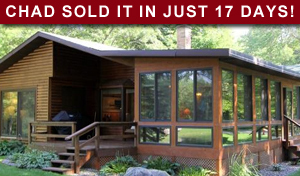 If you are thinking of selling, don't trust your largest investment to just any agent. 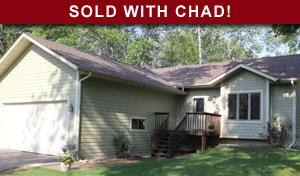 Call Chad direct at 218-831-HOME (4663) for a Free, no obligation marketing consultation. All of the testimonials you’ll find here are raw and unedited. Average score of 5 out of 5 stars, based on 200+ reviews. Glenn Beck Would Chose Chad! 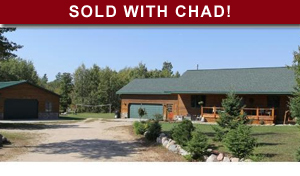 Trust Chad To Sell Your Home! Listed With Another Company Couldn't Sell It! 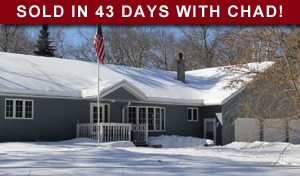 * Statistics are taken from Broker Metrics from 1/1/2013 to 4/28/2016 for homes sold in Cass, Crow Wing and Aitkin Counties. Some restrictions and conditions may apply. At Exit Lakes Realty Premier, we take your privacy seriously. At various stages in the home selling or buying process, you may be required to give us some personal information like phone numbers, email addresses, and mailing addresses. 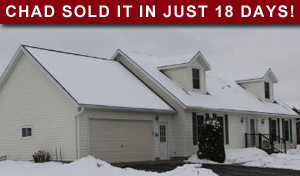 We have put in place security measures to protect your information in a secured database that is only accessable to authorized Exit Lakes Realty Premier Real Estate personnel on a need-to-know basis. However, no method of transmitting or storing electronic data is ever completely secure, and we cannot guarantee that such information will never be accessed, used, or released in a manner that is inconsistent with this policy. We also will never sell or distribute your personal information to any unauthorized third parties, list brokers, or spammers for any reason, ever. By submitting the form on this page, I agree that a Exit Lakes Realty Premier representative may email me or contact me by telephone and/or text message utilizing automated technology at the telephone number(s) provided above. You also understand that we may change this Policy at any time, and by continuing to use this Site after we modify this Policy, you accept the new version of the Agreement.